450Bushmaster.net • View topic - Suppressed s&w m&p 15-22p, I want one. Suppressed s&w m&p 15-22p, I want one. But first i have questions. I have this gem that I'd like to get a suppressor for. I'm looking at a sparrow for it but I'd be open for recommendations. Anyways, I'd like it to be recessed into the hand guard so it doesn't stick out like a sore thumb. Can anyone here make me a barrel for this thing or have a recommendation to someone that can? 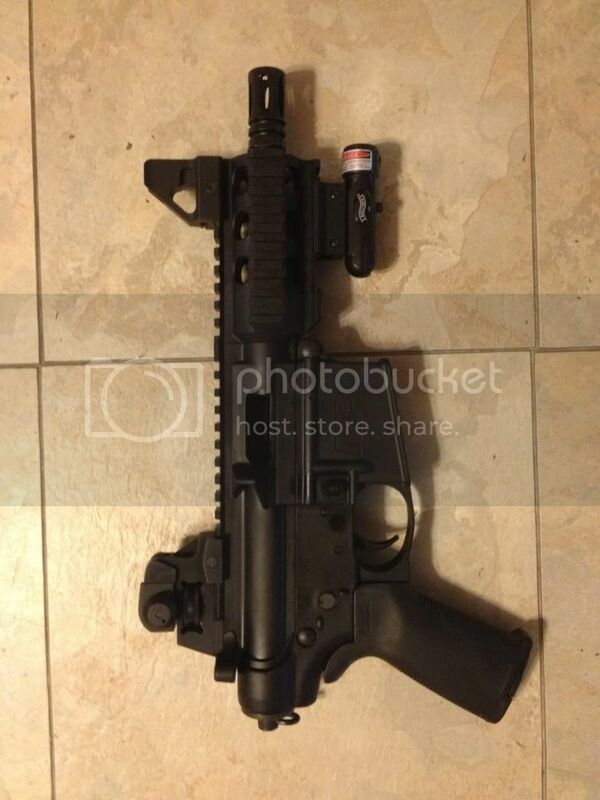 I'd rather not cut the existing barrel down as its worth (to someone) double than what I bought it for and I'd like to keep the stock parts to convert it back incase I'd get a really stupid offer. Re: Suppressed s&w m&p 15-22p, I want one. You still have to get a stamp for this but it way-way cheap. An adapter for the 1/2x28tpi muzzle threads to adopt a two litter bottle, carefully drilling about a .250"+ hole, directly in line with the bullet path and BINGO you got something way quilter than that Sparrow. cheaper than dirt sells just the outer shell of suppresors for like 30 bucks. it would be illegal but very easy to just stuff one of these shells with steel wool like the russians did. I hear the wool burns out after about 60 shots.